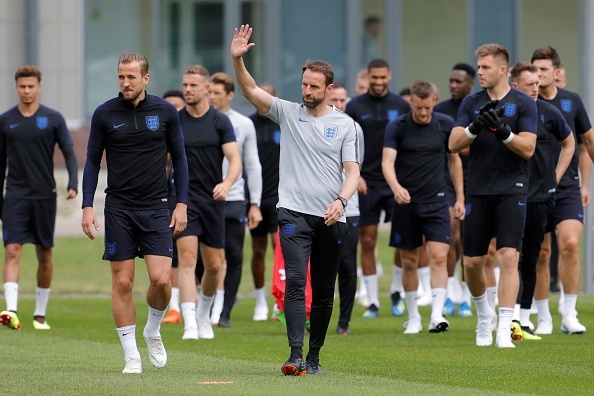 ENGLAND will go into their game against Tunisia in their opening game of the World Cup at Volgograd Arena in Russia on Monday night as favourites. The Three Lions meet the North African outfit in a repeat of the 1998 Fifa World Cup finals in France. The English team defeated the 2004 African champions 2-0 in their Group D opening 20 years ago. Retired skipper Alan Shearer and star midfielder Paul Scholes were on the scoresheet for the Three Lions on that day. England finished second behind group winners Romania, while Tunisia were bottom of their group with just one point. England head coach, Gareth Southgate, was still a player and he featured in the win in that match. But the roles have been reserved as he will be leading his team as a coach. After a period of 20 years, nothing has changed going into their Group G opening game in Russia, as the Three Lions are expected to open their World Cup campaign with a win in their first match. The English team failed to get out of their group at the previous World Cup showpiece in Brazil 2014, while Tunisia are making their return to the biggest global football event in 12 years. Tunisia failed to go beyond the group stages in Germany as they finished second from bottom, managing just one point. Tunisia are still searching for their first victory in the World Cup finals. pre-tournament favourites Belgium will take on minnows Panama at Fisht Stadium (5pm). The star-studded Belgian outfit are expected to progress to the last 16 rounds with the Three Lions. None of the five African representatives: Tunisia, Morroco, Senegal, Nigeria and Egypt are expected to go all the way. Tunisia are seen as the underdogs in their group they have nothing to lose and everything to gain. The Three Lions will pin their hopes of having a good tournament on their red-hot skipper Harry Kane. The Tottenham Hotspur striker has scored 30 goals in the past English Premiership campaign. The Manchester United pair of Marcus Rashford and Jesse Lingard are also expected to make valuable contribution to Southgate’s team. Tunisia will bank their hopes on their best midfielder Wahbi Khazri, who scored nine goals for French League 1 club Rennes, while striker Saber Khalifa will lead their line upfront.